Ganiyu Leslie Laniyan, chair of the Pentecostal Credit Union (PCU), one of the largest credit unions in the UK, has been featured in the Queen's New Year's Honours List to receive an MBE. Shane Bowes, CEO of the PCU stated, "The PCU deems it a privilege to have Leslie Laniyan serve as Chairperson of our board. His experience, knowledge and expertise has helped to steer PCU to the position it currently occupies. 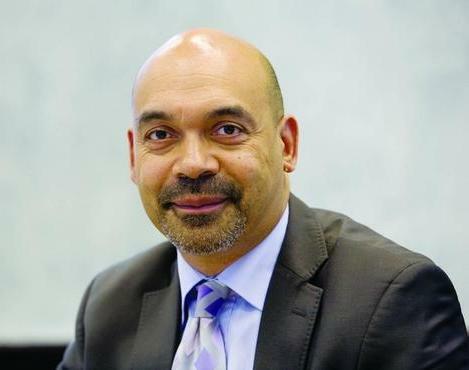 We are pleased and excited that his extensive ability and contribution to BME communities has been recognised with an MBE and extend our congratulations to him on this fantastic achievement." It was during a particularly difficult time for the PCU that Leslie's strength and expertise came to the fore. He successfully steered the PCU through the challenges and led the PCU through its transformation which resulted in it becoming independently accredited as one of the top 10 credit unions in London in 2017. The PCU is now in financial viability terms, the second largest credit union in the UK with an asset base of £10million. Leslie's MBE award for voluntary services to communities in London is well deserved. He has a real heart for local communities, and coupled with his professionalism has served numerous organisations in the BME community by empowering them as well as helping them to develop, expand and grow. Organisations aside from the Pentecostal Credit Union that have benefitted from Mr Laniyan's extensive experience include Faith Regen, Black Roof Housing Co-Operative, Arhag Housing Association. He has sat on the boards of many more. Leslie is a founding member of Shian Housing Association (SHA), which provides housing for people from BME communities. SHA currently has a portfolio of 500 homes in the boroughs of Haringey, Hackney and Islington and an asset base of £100million. Through his work at SHA – where he currently serves as Managing Director – Leslie set up the Makeda Weaver project in 2006 following the shooting of a six year old girl and her mother during the height of gun crime. The project focused on working with young people, especially those at risk of crime and ex-offenders. Due to its' success in helping them to exit gangs and rehabilitate ex-offenders it was highly commended by the Metropolitan Police who cited it as playing a major role in reducing gang related crime due to it's work with young people. In the ensuing years Leslie has continued to show commitment, tenacity and perseverance in all his endeavours – which has also included serving as a school governor and chairing numerous housing associations.